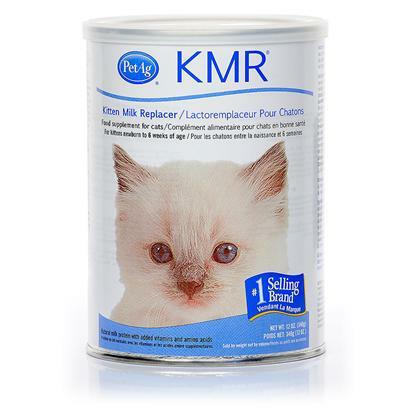 KMR Milk Replacer is a milk substitute that can be fed to kittens and puppies. This specially formulated substitute works well for baby animals that have not been weaned from their mothers. KMR is a life saver!